Kathryn Parsons #ALD13 @findingada « Adafruit Industries – Makers, hackers, artists, designers and engineers! Kathryn has been awarded the Veuve Clicquot New Generation Award (its goal is to encourage new female entrepreneurs), and was named in Business Insider’s 30 Most Important Women Under 30 in Tech. 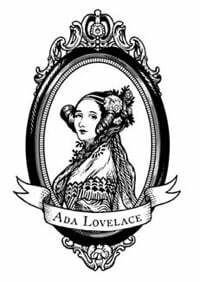 October 15th is Ada Lovelace Day! Today the world celebrates all of the accomplishments of women in science, art, design, technology, engineering, and math. Each year, Adafruit highlights a number of women who are pioneering their fields and inspiring women of all ages to make their voices heard. Today we will be sharing the stories of women that we think are modern day “Adas”. We will also be referencing women from history that have made impacts in science and math. Please promote and share #ALD13 with your friends and family so we can promote and share with all of the world wide web! Today everything in the Adafruit store is 10% off, just use the code ALD13 on checkout! Today’s the perfect day to spark the imagination of a future “Ada” with a gift from the Adafruit store!